BlackBerry fans around the world tuned in to a once-in-a-blue-moon event and witnessed the unveiling of the newest hardware from the Canadian outfit. Yes, the BlackBerry Passport is here. For the believers, this is a momentous event; but the naysayers, it's just another device thrown into the wall. So what does the odd-shaped handset has in store for us in the table? Check out, right after the fold as we dissect everything you need to know about the device. The once leader in the smartphone market is trying to relive its old glory by way of revolutionizing the conventional rectangular form factor of smartphones. Of course, knowing that it is of flagship caliber, it comes with a bucket-full of nifty features. 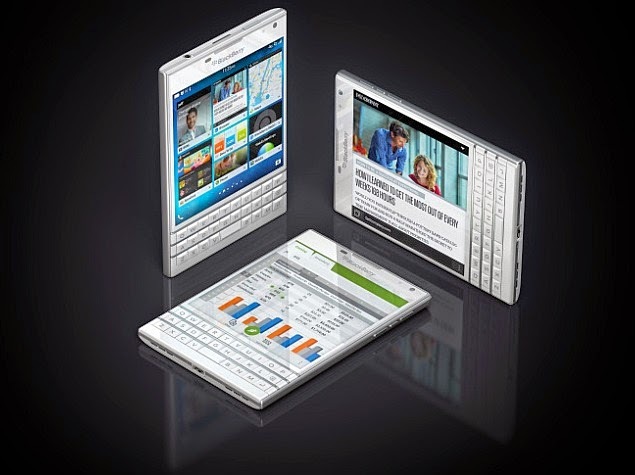 For the uninitiated, the BlackBerry Passport hops in with a 4.5-inch IPS LCD display. The odd 1440 x 1440 pixel resolution is something like you haven't seen before. Not even the LG L-Style series could match its “squareness.” The display comes with a stunning pixel density, approximately 453 ppi, with Gorilla Glass 3 treatment. In terms of muscle, the new Passport armed itself with a Qualcomm Snapdragon 800 SoC which is comprised of a 2.2-gigahertz quad-core CPU and an Adreno 330 graphics booster. Likewise, the new BlackBerry handset also touts a beefy 3GB of RAM with 32GB of internal memory. In case you need more space, the handset is supported with microSD card slot. The Canadian outfit is also gunning for the camera-centric smartphone market. 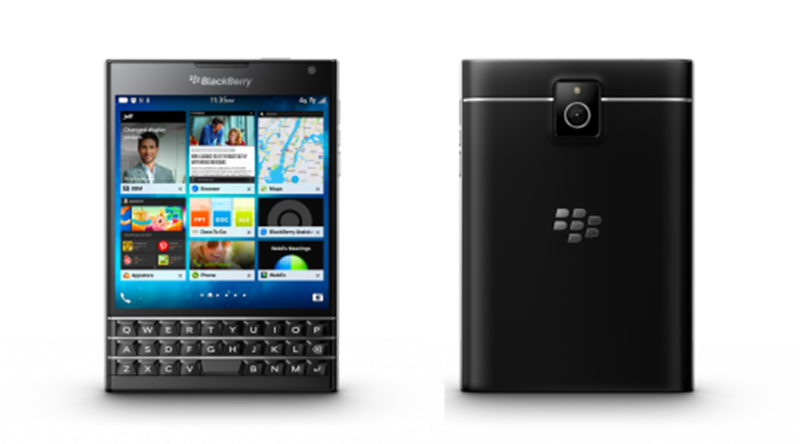 The Passport also boasts a flagship-grade 13-megapixel camera sensor with Optical Image Stabilization. The front panel also houses the 2-megapixel camera which is suited for your selfie shots. The BlackBerry Passport has 128x90x9.3mm dimension. It also features the standard set of radios like WiFi 802.11 a/b/g/n, Bluetooth 4.0 Low Energy, micro USB with micro HDMI via Slimport, USB OTG, GLONASS, 2G, 3G and 4G LTE. The company promises a 30-hour of juice with the Passport. It also claims the device has the best battery performance in a smartphone to date with its 3450 mAh rating. 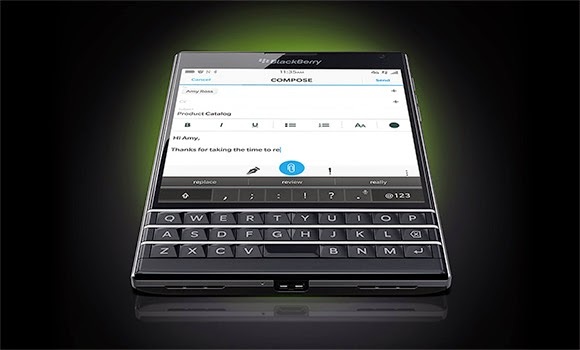 All the hardware is optimized with the latest BlackBerry 10.3. The iconic keyboard is still maintained on the device's front panel. These keyboards are now touch-enabled. The responsive touch allows you to flick-to-type and slide the keys to move the cursor. The Passport is equipped with quad-microphone system and powerful speakers that give you the best "in-person" conversations. The Natural Sound feature will make your conversations like you're in the same room with the person on the other line. The BlackBerry Passport is one of the most concerted releases that the fallen giant has done in the past couple of years. With great features like the tap-and-touch combination of keys and touchscreen, the Passport might have an edge in the market. However, if the device could make a good footing in the fiercely contested market is still a question that we'll have to answer in the coming weeks.